There is no reason why a regional organisation of Europe should in any way conflict with the world organisation of the United Nations. On the contrary, I believe that the larger synthesis will only survive if it is founded upon coherent natural groupings. There is already a natural grouping in the Western Hemisphere. We British have our own Commonwealth of Nations. These do not weaken, on the contrary they strengthen, the world organisation. They are in fact its main support. And why should there not be a European group which could give a sense of enlarged patriotism and common citizenship to the distracted peoples of this turbulent and mighty continent and why should it not take its rightful place with other great groupings in shaping the destinies of men? a solution that has been so long in the making – a strong EU, buttressed and supported by a strong UK, with each side trading freely with the other, and with the UK able to think about new opportunities in the rest of the world. Johnson is a huge fan of Churchill’s, so much so that a few years ago, the one-time Mayor of London wrote a book on England’s war time hero. As one reviewer noted, Johnson invited readers to see the author and his subject as ‘supreme orators, literary masters and slayers of spineless Conservatives and perfidious foreigners’. So perhaps it is not so surprising that Johnson appeared to be echoing Churchill’s view. But that doesn’t make it right. 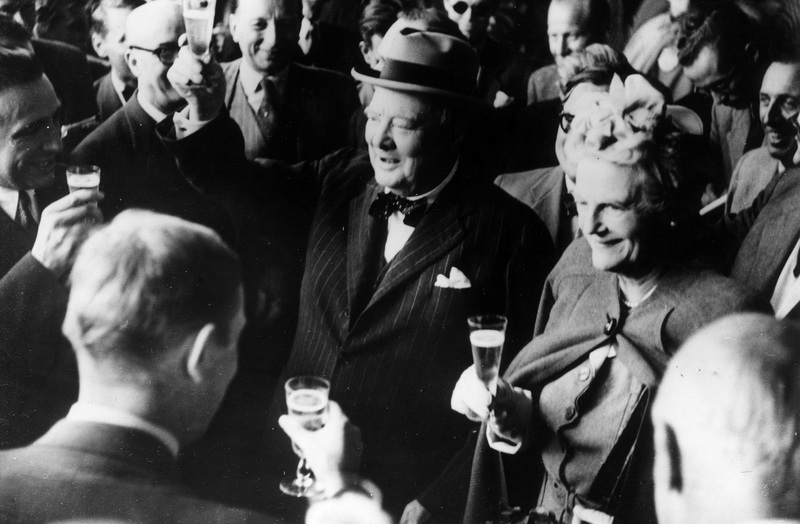 After all, Churchill was speaking right after a resounding victory of, and by, the Anglosphere, and before the last colonial vestiges east of Aden were cleared by a broken former empire. He can be forgiven for misplaced perceptions about the divide between the continent and the British Isles. Johnson cannot. Others have already addressed the Foreign Secretary’s rather bold claim the UK will be prepared to lend a hand keeping the peace in the South China Sea (in a few years’ time, mind, as aircraft carriers he referred to are still not in service). I would point out that there are many, more pressing claims much closer to home for Europe and the UK. Europe is still very much preoccupied in getting a semblance of security and military cooperation to, for example, stem the flood of poverty immigration from Africa. Not now nor in the foreseeable future, will Europe play a significant military role in the Asia-Pacific. For the truth is that Europe in the 21st century is the small, albeit prosperous, Westernmost part of the huge Eurasian landmass. It is dwarfed in terms of populations, natural resources and economic potential by neighbors in its Far East. If Europe - which, for better or for worse, is the EU - can pull together to master its security environment in its near East, including Russia, and in its near South, including parts of the Middle East and Africa, much would be gained. It is not yet clear that Europe will rise to these particular challenges but if it does, it will be within the EU framework. In recent months, various European leaders and observers have expressed the view that Brexit may not happen. They are among those who expect the legendary English common sense will prevail once the dismal reality of a Great Britain outside of the political, economic and cultural weight of the EU can no longer be brushed aside. Certainly the economic realities are sobering. In the year after the Brexit vote in May 2016 the pound fell 15% against the dollar (though it has ticked up recently in reaction to fears about the Trump economic program, proving there’s always a silver lining somewhere), the UK inflation rate has climbed from 0.5% to 3%, and the UK growth rate in the second quarter of the calendar year (0.3%) was half that of the Eurozone. And this is before the exit trickle from the London financial centre accelerates as it surely will if the UK leaves the single market, as Prime Minister Theresa May has announced it will. Such a move would cause banks in Britain to lose their European passporting rights (basically the right to execute financial transactions on the continent from a London office). It is noteworthy that even Northern Ireland’s ultra-nationalist and far-right Democratic Union Party of North, upon which May’s government now relies on for a majority, doesn’t want a ‘hard Brexit’. Yet that is precisely what the present Tory leaders, very much including Boris Johnson, will get by insisting on full national control of person flows and no recognition of the European Court of Justice. Both are impossible positions for any country that wants to participate in Europe, its single market or any other EU institution. The best any country can get from the outside is some face-saving ‘autonomous copying’ of EU rules and legal decisions. As Norway and Switzerland have demonstrated, the result is such countries end up doing what the rest of Europe - ie the EU - does, but without having a say when decisions are made, all in the name of some hallowed (but really hollow) national sovereignty. Notwithstanding the present hardline attitude of the UK government to Brexit, a rethink seems inevitable. A second Brexit vote is unlikely. Much less so is an outcome that has the UK muddling through as a member in all but name, along the lines of the present Norwegian/Swiss ‘solutions’. Whatever the ultimate designation, it will not change the fundamental fact that the UK, at the outset of the 21st and Asian century, is a mid-size European country with very few alternatives, in free trade, immigration matters or anything else, that are radically different from those open to its continental cousins. Only that the latter have no plans to give up their seat at the table when European solutions are hammered out and put to the rest of the world. At international meetings of this kind, especially with China absent, the views of the US still tend to be hard to resist.